Yes, we want methods, drills, ideas, techniques just for practice! Efficient and effective practice is the key to excellent progress. This week I will be sharing with you a wonderfully effective method to apply to your practice. Metacognition - Part 1 - What is This Thing Called Metacognition? Earlier this week, I came across a Learning Scientists' post about Metacognition on Twitter. Metacognition is one of the buzz words du jour and I felt excited to think about how I could tap into these ideas, how I could create some Process Projects and possibly use some Growth Journals with my students. Then I took a step back and thought, WAIT! What is all this jargon? Sounds like a lot of nonsense! What is the Practice Pointers Pack? Improvisation can seem terrifying. Being asked to spontaneously create beautiful music?! Yet this fearsome activity is an ingredient that I always want included in my lessons. I LOVE mistakes! I love it when a student experiments with their playing and something goes wrong. OK, not hideously, crushingly wrong. That would probably deter most people from even trying again. But a bit wrong, a bit unexpected... THAT'S when the real learning takes place. I've been thinking a lot about mistakes recently as I've been reading Paul Harris' book Simultaneous Learning [London, 2014]. In it he qualifies a statement made in another of his books, The Virtuoso Teacher [London, 2012], in which he claims that by teaching through Simultaneous Learning, students will NOT make mistakes! I found this to be quite a bold claim. In Simultaneous Learning he allows that students WILL make mistakes but they will be small and the student will be able to identify what the mistake was and so self-correct. I think we can all be in agreement that huge mistakes are just not fun. Following a complete disaster many students might not even want to continue with playing the piano. Why do something that is hard, not fun and goes wrong?! After all, everyone likes what they are good at, so they do more of it, and get even better at it! Harris' claim that by teaching through Simultaneous Learning, students will make only small mistakes, and few of them, is reasonable: Carefully scaffolded teaching and learning will mean that students are never going to take a huge, risky leap. Students will always be trying challenges for which they are suitably prepared. But I STILL Love Mistakes! So, if I'm in agreement that big mistakes are bad and good teaching leads to fewer mistakes, why am I so keen for my students to make mistakes? Partly because I believe that it's through MAKING your own mistakes that you learn best (I'll explain why in a bit) and partly it's because CREATIVITY can be sparked by mistakes. How Do Mistakes Help You Learn? When you make a mistake it's a far more memorable situation than something just going smoothly to plan. 2. WHY did it go wrong? 3. HOW can I make it right? Therein lies the route to real understanding. It may be that you need help to answer some of these questions. That's not a problem! But by taking the time to consider these questions you WILL make real progress. I don't really imagine that this is terribly contentious. But hopefully it explains WHY I want my students to make mistakes. Can Mistakes Help Me Get Creative? YES! There are many case studies in the Research & Development world of product design mistakes that went on to be best sellers in their own right: Post-It notes are an example of a "failed" adhesive. An unexpected problem opens up new possibilities by considering things from a different perspective. This can apply brilliantly to improvisation and composition! Unexpected harmonies or accidental melodies can lead to completely new musical ideas that you are creating. So, once again, I LOVE mistakes! Unfortunately not everyone feels quite the same as me. Many students, for fear of making a mistake will not even try a piece or an activity. It's really important, as a teacher, to create a safe, supportive environment in which students feel happy to try things out and make mistakes. It can be helpful to happily make your own mistakes in front of them but most importantly, be encouraging of all attempts made by students and incredibly positive about any mistakes that they make. WELCOME their mistake :) Discuss their mistake, make it a routine to work through the key questions: What went wrong? Why did it go wrong? How can I make it right? In this way, students will become comfortable with making mistakes and will see them as a positive, if not essential, step to succeeding at and enjoying the piano. In this way, we will have brave students. I would love to hear about your perspective on mistakes, how you deal with mistakes and how you encourage others to approach their mistakes. Please share your thoughts in the comments below. Having been completely inspired by both the Dalcroze Taster Day that I recently attended and also The Curious Piano Teachers' Let's Play video series I have invested in a very exciting collection of rhythm instruments. So excited to announce that we have launched not just one, not even just two, but THREE book clubs for students of Worthing Piano Lessons, friends, family and in fact the general public. There is a "Little Prodigies" book club which is aimed at children and their parents. The first book here is the addictive THIS JAZZ MAN by Karen Ehrhardt. Already a proven hit at Worthing Piano Lesson bedtimes! The Young Adults book club is starting with Why Beethoven Threw The Stew by Steven Isserlis. This should be an entertaining and accessible introduction to the world of classical music. There is a main book club which is targetted at adult readers. Our first book is What To Listen For In Music by Aaron Copland. Let's get our listening skills up to scratch to start the year :) we can then enjoy the forthcoming books even more! Hopefully! Although there is a target audience for each book club anyone is free to join any or indeed all of the groups. The book clubs are being run online, using Facebook groups. Just click through to the group(s) you are interested in and request to join. Where possible (i.e. the suggested list of music is not overwhelming) there is also a Spotify playlist to accompany the book. Here is the link for the playlist for This Jazz Man - fantastic listening, I'm sure you'll agree. I've love to hear what you think about the book clubs and, of course, the books themselves. Get involved in the discussions over on Facebook and let me know what you think about the book clubs in the comments below. Each month I am taking a different aspect of piano playing to be a studio-wide focus. 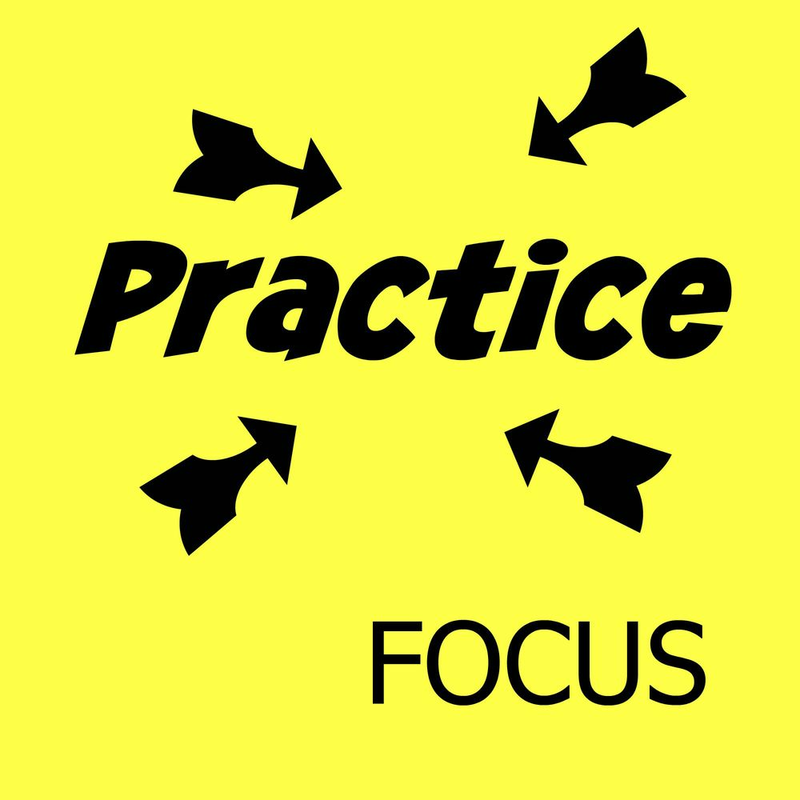 September's focus is PRACTICE. As with all of the areas I have lined up for the year ahead, practice should be a part of every lesson and every student's week at home with their piano. Why make it a focus for just one month? There are tasks set for each of four weeks. If the students complete the tasks they work their way through Novice status, to Prodigy status, to Virtuoso status and finally to Maestro status. The younger students will also receive points based on how well they have completed that week's task. And yes, points mean prizes! So that you can run a similar studio-wide project I have uploaded the file that contains the handouts for these - just click here! I would love to know if you think this would work for your students - please let me know what you think and how you get on with it! I'm busy busy busy here at Worthing Piano Lessons. I'm getting ready for the start of term. (Term dates can be found here in case you're wondering!) If you've read my newsletter you'll have seen that there are a LOT of really exciting things coming up. This page on my website gives you an overview and links to further details of all these activities. Sign up with your email address to receive the latest Piano Notes.